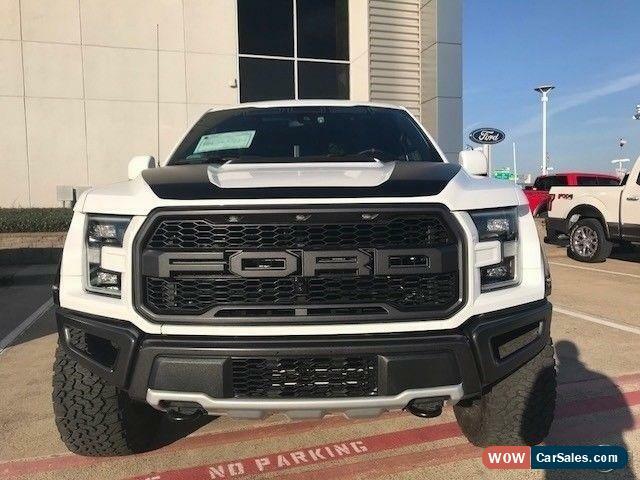 Chris Lok	(832) 253-4005	20777 Katy Freeway Katy Texas 77450		2017 Ford F-150 Raptor	Vehicle Information	VIN:	1FTFW1RG9HFB54746	Stock:	HFB54746	Mileage:	45	Color:	Oxford White	Trans:	Automatic	Engine:	3.5L V6 Cylinder Engine Turbocharged	MPG:	Drivetrain:	Four Wheel Drive		Similar Vehicles	Check out similar vehicles in our inventory. View Inventory		Similar Vehicles	Check out similar vehicles in our inventory. View Inventory	Options and Standard Features	Options		10-Way Power Driver Passenger Seats		360 Degree Camera		4.10 Front Axle W/Torsen Differential		Adaptive Cruise Control W/Collision Mitigation		Ambient Lighting		Auto High Beam		Blind Spot Information System (BLIS)		Dual-Zone Electronic Automatic Temperature Control		Equipment Group 802A Luxury		Front License Plate Bracket		Heated Steering Wheel		Heated/Cooled Leather 40/Console/40 Front Seats		Inflatable Rear Safety Belts		Integrated Trailer Brake Controller		Intelligent Access W/Push-Button Start		Lane-Keeping System		LED Box Lighting		LED Side-Mirror Spotlights		Memory System (Seat, Pedal, Exterior Mirror)		Power Glass Heated Sideview Mirrors		Power Tilt/Telescoping Steering Column W/Memory		Power-Adjustable Pedals		Power-Sliding Rear Window		Pro Trailer Backup Assist		Radio: Sony Single CD W/HD Siriusxm Satellite		Raptor Technology Package		Remote Start System W/Remote Tailgate Release		Second-Row Heated Seats		Spray-In Bedliner (Pre-Installed)		SYNC 3		SYNC Connect		Tailgate Applique		Tailgate Step W/Tailgate Lift Assist		Twin Panel Moonroof		Universal Garage Door Opener		Voice-Activated Navigation	Basic Information	Stock Number: HFB54746	VIN Number: 1FTFW1RG9HFB54746	Style Name: 4X4 Styleside 5.5 Ft. Box 145 In. WB Raptor	Make: Ford	Model: Roush Raptor	Model Year: 2017	Type: Pickup	Vehicle Trim: Raptor	Interior Color: Black	Exterior Color: Oxford White	Body Type: Supercrew Cab	Engine	Compressor: Twin Turbo	Engine Description: 3.5L V6 Cylinder Engine Turbocharged	Fuel Type: Gasoline	Fuel Induction: Gasoline Direct Injection	Valves Per Cylinder: 4	Aspiration: Twin-Turbocharged	DriveTrain	4WD Type: Part And Full-Time	Descent Control: Hill Descent Control	Driven Wheels: Four-Wheel	Locking Hubs: Auto	Transfer Case: Electronic	Transmission: Automatic	Wheels Rims: Silver Aluminum	Wheels Spare Rim Type: Steel	Drive Train Type: Four Wheel Drive	Suspension	Independent Suspension: Front	Stabilizer Bar: Front	Instrumentation	Clock	Compass	External Temp	Low Fuel Level	Tachometer	Trip Computer	Roof and Glass	Front Wipers: Variable Intermittent	Privacy Glass: Deep	Rear Defogger	In Car Entertainment	Antenna Type: Fixed	Audio System: Siriusxm AM/FM/Satellite	Speakers: 7	Seats	Drivers Height: Power	Drivers Lumbar: Power 2-Way	Drivers Power: 8	Passenger Lumbar: Manual	Seating Capacity: 5	Front Seat Type: Bucket	Upholstery: Cloth/Leather	Folding: Fold-Up Cushion	Convenience	Center Console: Full With Locking Storage	Cruise Control	Cupholders: Front And Rear	Door Pockets: Driver, Passenger And Rear	Overhead Console: Full With Storage	Power Outlets: 3	Seatback Storage: 2	Steering Adjustment: Tilt And Telescopic	Steering Power: Speed-Proportional Electric Power Steering	Power Mirrors: Power Remote	Power Door Locks	Windows: Power Windows	Comfort	Air Conditioning: Manual	Center Console Trim: Metal-Look	Dash Trim: Metal-Look	Door Trim: Metal-Look	Mats: Vinyl/Rubber Front And Rear	Reading Lights: Front And Rear	Shift Knob: Leather/Chrome	Steering Wheel Trim: Leather	Vanity Mirrors: Dual Vanity Mirrors	Features	Bumpers: Black	Door Reinforcement: Side-Impact Door Beam	Safety	NHTSA Passenger Grade: Excellent	NHTSA Driver Grade: Excellent	NHTSA Side Impact Front Grade: Excellent	ABS: 4-Wheel	Head Airbags: Curtain 1St And 2Nd Row	Anti Theft System	Brake Assist: Braking Assist	Safety Locks: Manual	Daytime Running Light	Engine Immobilizer	Headlights Auto Delay: Auto Delay Off	Headlights Dusksensor: Dusk Sensing	Front Headrests: Manual W/Tilt	Rear Headrests: 3	Rear Center Seatbelt: 3-Point Belt	Safety Stability Control	Driver And Passenger Airbag	Side Airbag	Stability Control: Stability Control With Anti-Roll	Door Reinforcement: Side-Impact Door Beam	Towing and Hauling	Trailer Hitch	Doors	Rear Door Type: Tailgate	Side Door Type: Conventional	Dimensions	Front Head Room: 40.8 Inches	Front Hip Room: 62.5 Inches	Front Shoulder Room: 66.7 Inches	Front Leg Room: 43.9 Inches	Rear Head Room: 40.4 Inches	Rear Hip Room: 64.7 Inches	Rear Leg Room: 43.6 Inches	Rear Shoulder Room: 65.9 Inches	Length: 231.9 Inches	Width: 86.3 Inches	Height: 78.5 Inches	Wheelbase: 145.0 Inches	Ground Clearance: 9.8 Inches	Message	Welcome to another eBay Auction from AutoNation Ford Katy. We are part of the AutoNation group, recognized as one of the most respected and largest automotive retailers in the United States with over 310 stores in 15 states from Coast to Coast. Our Preowned vehicles undergo thorough inspection before they are offered for sale. We employ many specialized vendors that recondition our vehicles to level that the new owners will appreciate. AUTONATION '1PRICE': We have no-haggle, one price approach on all pre-owned vehicles which eliminates the uncomfortable back and forth negotiations. Our prices are based on market research to ensure you get fair price every time. Money-Back Guarantee: (New and Used) Every vehicle we sell is backed by 5-day OR 250-mile (whichever occurs first)Money-Back Guarantee. No questions asked. Vehicles with over 80k miles receive 50-point inspection, including fresh oil change, new state inspection sticker, Full Detail, Exterior and Interior reconditioning, and are sold AS-IS. We'll Buy Your Car: We provide Guaranteed Trade-in Offer from the comfort of home, honored for days or 500 miles at any of our locations. Hassle-Free Financing: We offer wide range of finance and lease programs with menu that makes financing with us clear and simple choice. 	Similar Vehicles	Check out similar vehicles in our inventory. View Inventory	About Us	Credit Application	Directions to Dealer	Contact Us	Terms	Terms: Auction Policies Please ASK. Do not assume anything that is not listed is included. 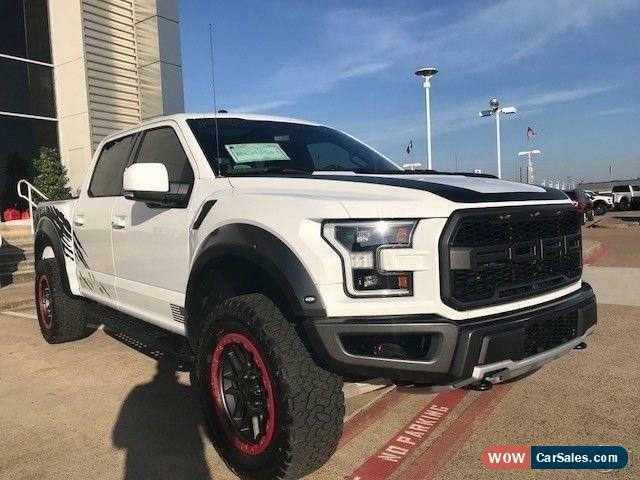 All eBay pricing for new vehicles on eBay, including the Buy-It-Now price and if applicable, the reserve price, are after rebates made available to our region (Houston region) by the Ford Motor Company, and may require financing with Ford Credit at standard rates to qualify or additional actions stipulated by Ford. Rebates may vary from region to region. The eBay pricing, including the Buy-it-Now price and the reserve price is available exclusively to United States residents. Please contact us to see if you qualify for different rebates in your region. All eBay pricing, including Buy-it-Now and reserve may be in lieu of all factory special finance rates. 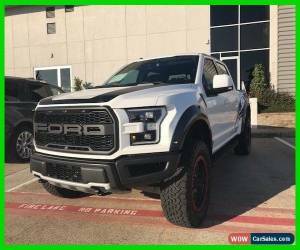 AutoNation Ford Katy reserves the right to sell all listed vehicles to our walk up traffic on site at anytime before the conclusion of the auction. 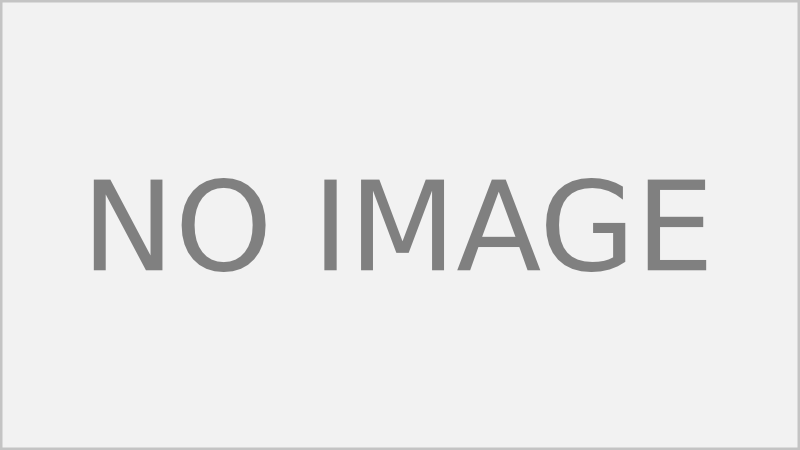 AutoNation Ford Katy reserves the right to cancel any and all listings, including listings with active bids, due to the vehicles selling on site and as such, AutoNation Ford Katy will make good faith effort to remove vehicles as they sell. AutoNation Ford Katy shall not be liable for any such cancellation for any reason. For your protection, AutoNation Ford Katy does not send out second chance offers at any time for any vehicle. Customers with zero or negative feedback must contact us before bidding. Otherwise, we reserve the right to cancel your bid. Understand that this is only to protect the integrity of the auction. Texas is title-holding state. Sometimes it can take up to 21 business days to recieve title from the lien holder. Titles that are paid for by cashiers check are held up to 14 days for the checks to clear. If you need the title for export, please call to verify if we have the title. Notice to Brokers, Dealers, and Exporters including International Customers State law prohibits us from selling New Vehicles (not previously titled) directly to Brokers or Dealers. If you represent broker or dealer and are interested in vehicle for your customer, we can facilitate the sale provided all documentation including titling is prepared in the actual buyer's (end-user's) name. All New Vehicles must be registered in the United States prior to export. MSO's (Certificate of Origin/Title) will not be released until proof of registration is received. Call for details. Payment Types Payment for the vehicle may be made by institutional financing, either prepared by Autonation Ford Katy or prepared by the buyer through their own personal lender, or cash via certified funds/cashier's check. Note: Personal and Cashier's Checks, and Money Orders may require 14 days to clear before vehicle is released to buyer. In some cases, financing with Ford Credit may be required to qualify for Buy It Now price (new vehicles only). Taxes and Fees If you are Texas resident, you must pay 6.25% sales tax on transactions. Out of state buyers are not charged sales tax unless required to do so by the lender. Customers are responsible for registering the vehicle in their home state. In compliance with policies designed to protect your identity and reduce fraud, all transactions completed away from the dealership site require notarized signatures. The customer is responsible for registering the vehicle in their home state and paying all applicable fees and taxes. In addition to any required tax, title, and license fees, all buyers pay $122.50 Documentary fee, Vehicle Inventory Tax (VIT) of 0.216% (approximately $22.00 per $10,000), and $23.75 state inspection. For vehicles being registered outside of Texas, an additional fee of $130 may apply. Please call with any questions. Deposit An immediate REFUNDABLE deposit of $500 is required within 24 hours of winning the auction. Buyers must be willing and able to complete transaction within calendar days of winning the auction. If no contact is made within 18 hours, AutoNation Ford Katy reserves the right to relist the vehicle for sale. Buyer Pickup The buyer is responsible for the pick up or shipping of vehicle. As courtesy to our customers, we will provide pick up at local airports Bush Intercontinental (IAH) or Hobby Airport (HOU)) during normal business hours. AutoNation Ford Katy can help arrange shipping at buyer's cost if so desired. Buyer assumes all responsibility once vehicle leaves the dealership. Disclaimers	Accessories color may vary. Dealer not responsible for errors or omissions. New vehicle pricing may already include applicable manufacturer incentives which may expire at any time are subject to incentive qualification criteria requirements. Manufacturer incentive data vehicle features is provided by third parties believed to be accurate as of the time of publication. Please contact the store by email or phone for details availability of incentives. Sales tax or other taxes, tag, title, registration fees, government fees, not included. Dealer Documentary Fee not included in quoted price. Pre-owned vehicle Money-Back Guarantee is valid for days or 250 miles, whichever comes first. Subject to certain terms and conditions. See store for details. Some restrictions apply. Some used vehicles may have unrepaired safety recalls. You can check recall status by VIN, at www.safercar.gov		Similar Vehicles	Check out similar vehicles in our inventory. View Inventory	Selling Vehicle? Create Professional Listings Fast and Easy. Click Here! Copyright © 2017 Auction123 All rights reserved. Disclaimer	Auction123 (a service and listing/software company) and the Seller has done his/her best to disclose the equipment/condition of this vehicle/purchase. However, Auction123 disclaims any warranty as to the accuracy or to the working condition of the vehicle/equipment listed. The purchaser or prospective purchaser should verify with the Seller the accuracy of all the information listed within this ad.